Conspiracy theories can be amusing to read because they’re usually so bizarre and far-reaching that they couldn’t possibly be true. What’s even more fun is a conspiracy that’s not a theory at all. Here’s one that actually happened. In the 1930s, many Western countries suffered severe economic depressions. The need to prevent unrest and establish control was so desperate that in Italy, Germany, and Spain, military-backed coups installed fascist governments. In that system a centralized government, led by a sole dictator, holds all the power and the individual citizen has little recourse. Fascist governments readily use force to quell what they perceive as threats, such as labor unions. Notable fascist dictators of the 1930s: Benito Mussolini in Italy, Francisco Franco in Spain, and Adolf Hitler in Germany. In another country, a fascist coup was attempted not by the military, but by a group of powerful businessmen and politicians. They wanted to overthrow the democratically elected head of state through blackmail and threats of violence and replace him with a puppet dictator who would serve their interests. That country was the United States. But the crux of the New Deal was job creation. 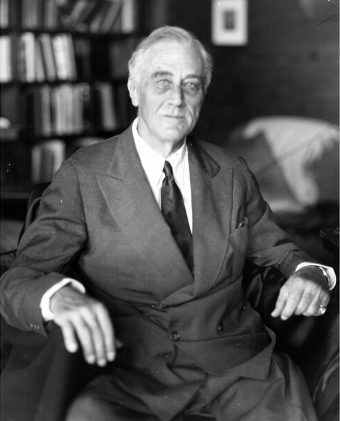 Roosevelt proposed more than 10 new government agencies such as the Works Progress Administration, the Civilian Conservation Corps, the Civil Works Administration, and the Tennessee Valley Authority, that would oversee construction and beautification projects and generate millions of new jobs. Business leaders were especially opposed to the National Recovery Administration, which set minimum wages and reduced the work week, even in the private sector. Used to paying their workers whatever they wanted (for as much work as they wanted), barons of industry stood to lose millions. A group of anti-Roosevelt business leaders and politicians (Democrats and Republicans) formed an organization in 1933 called the American Liberty League (ALL), dedicated to “fostering the right to work, earn, save, and acquire property.” In other words, they advocated individual wealth-building and villainized welfare. The ALL was so dedicated to that goal that it would do whatever was necessary to secure their wealth. That included staging a militia-backed coup to force Roosevelt out of office and replace him with a pro-business dictator. William Doyle, commander of the Massachusetts department of the American Legion, a veterans’ service and political organization. The 300,000 Massachusetts members were almost exclusively veterans of World War I. The group concocted a plan to force Roosevelt to create a new cabinet position called the Secretary of General Affairs, which would be filled by a person of the ALL’s choosing. Next, they’d force Roosevelt to admit to the public that he had been crippled by polio (not widely known because he was rarely photographed in his wheelchair). The knowledge that the president couldn’t walk or even stand without assistance would destroy all trust in his ability to pull the country out of its economic mess, and the backlash would force Roosevelt to shift authority to the Secretary of General Affairs. In all likelihood, of course, Roosevelt would refuse to meet the ALL’s demands to create the new position, confess his condition, and transfer power. Part two of the plan: If Roosevelt refused, Doyle and MacGuire would activate their American Legion brigades to form a militia of more than 500,000 who would then storm Washington, D.C., and take power by force. For the American people and 500,000 soldiers to go along with a plan to depose a president, the ALL knew that whoever they chose to be the Secretary of General Affairs would have to be popular with both the military and the general public. So, acting on behalf of the plotters, MacGuire approached Smedley Butler, a major general in the Marine Corps and the most decorated Marine in history at that point. Butler was as loved by the military and respected by the general public just as later generals like Dwight Eisenhower, Douglas MacArthur, and Colin Powell would be. That’s because in 1932, when World War I veterans marched on Washington to lobby Congress over still-unpaid combat bonuses from 15 years earlier, Butler publicly supported them and even gave a speech encouraging them to fight for what was rightfully theirs. MacGuire visited Butler at his home in Newton Square, Pennsylvania, in June 1933. They met for just 30 minutes, but MacGuire gave him the complete details of the plot, including the names of those involved and a promise of $3 million in financial support. Butler asked MacGuire why something as drastic as a coup was necessary. MacGuire said that it was because Roosevelt’s social programs proved he was a Communist. “We need a fascist government in this country to save the nation from the Communists who want to tear it down and wreck all that we have built,” Butler later said MacGuire told him. Butler agreed and told MacGuire he was in…except that he really wasn’t. What the ALL members hadn’t taken into consideration was that the combat bonus protests of the previous summer, which had made Butler beloved among soldiers, ended when President Herbert Hoover sent in the cavalry to break it up. Butler was so appalled by this treatment of the WWI veterans that he renounced Hoover and the Republican party, became a Democrat, and actively campaigned for Roosevelt in the 1932 election. Your committee received evidence showing that certain persons had made an attempt to establish a fascist government in this country. There is no question that these attempts were discussed, were planned, and might have been placed in execution when and if the financial backers deemed it expedient. This committee received evidence from Maj. Gen. Smedley D. Butler (retired), who testified before the committee as to conversations with one Gerald C. MacGuire in which the latter is alleged to have suggested the formation of a fascist army under the leadership of General Butler. But the findings—and Butler’s credibility—were undercut when the report was released to the public with the names of the conspirators blacked out. The names were never officially released, and no one associated with the “plot” was ever held accountable. So why didn’t the federal government prosecute the plotters? At the time, Roosevelt was trying hard to get his New Deal programs passed through Congress. Releasing the names of the government officials and appointees involved would have undermined Roosevelt’s authority and made him look like a weak leader. In fact, it may have been Roosevelt himself who suggested that the McCormack-Dickstein Committee withhold the conspirators’ names and not pursue charges…provided the plotters agreed to stop speaking out publicly against his social and relief programs. The compromised report, coupled with the altogether absurd nature of the idea of a fascist coup in America (even if it was true), led to little media coverage. The New York Times and Time reported on the committee’s findings, but dismissed Butler’s claims as rumor and hearsay. How serious were the conspirators? The idea never got past the planning stages, and the conspirators may have met only that once. When news that Butler had turned informant got out, the plot crumbled. But they did have one “backup” plan—shortly after MacGuire met with Butler, MacGuire also approached James Van Zandt, the head of the Veterans of Foreign Wars office, to be the Secretary of General Affairs should Butler decline. After Butler revealed the plot to the congressional committee, Van Zandt told reporters his story, lending Butler’s story some credence, but that’s as far as it went. The American Liberty League which, in addition to proposing fascist coups, operated as a legitimate pro-capitalist organization. It folded in 1940. That same year, Franklin Roosevelt was elected to his record third presidential term. Roosevelt was reelected again in 1944, but in the same national election, Republicans took control of Congress from the Democrats, gaining a majority in both the Senate and the House. After Roosevelt’s death five months after the election, the conservative government was eager to start anew, and in 1951 passed the 22nd Amendment to the Constitution, which limited future presidents to two terms. Why? Many senators and representatives feared that a president who held office for too long could become a dictator. 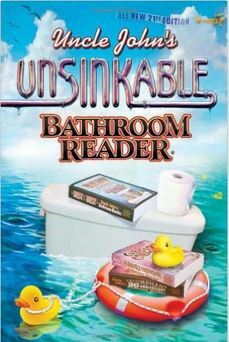 This article is reprinted with permission from Uncle John’s Unsinkable Bathroom Reader. Uncle John and his crack staff of writers prove that after more than two decades in the business, they’re still at the top of their game. Who else but Uncle John could tell you about the tapeworm diet, 44 things to do with a coconut, and the history of the Comstock Lode? Uncle John rules the world of information and humor, so get ready to be thoroughly entertained.